Today, we’re going to talk about surveys. I think I tried probably 30 or more websites that offered some sort of incentive to take surveys. Most of them sent me spiraling into a loop of never-ending virtual ridiculousness. Several required registration for other websites. Some were willing to give you something for free in order to register but expected to pay $5.99 in shipping. To me, free means $0.00. There are no exceptions to this in my mind. There are a few legitimate companies out there where you can earn a little bit of something for participating in survey. It won’t allow you to quit your day job or become rich. You need to be capable of multitasking to do them. Some of them are extremely long. I usually do them while catching up with recordings of murder and mayhem on my DVR But they do pay. FusionCash is one of them. I currently have earned $7.23 in less than two weeks. There are upwards of almost 10 different ways to earn if you’re willing to spend time on their website. It’s USD and not virtual currency. There are also bonuses to be earned. 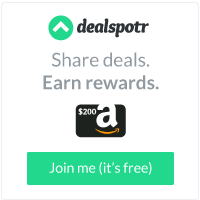 Earn $1 when a referral confirms their email, $2 when they complete a Paid to Sign Up offer, and $5 each time they are approved for cashout – for life. There is a cash out limit of $15 that must be earned from non-bonuses. Harris Rewards is another one. They are set up on a system of virtual currency that can be exchanged for gift cards. The upshot to that is an app called Raise which I talked about in another blog post. Take those gift cards you don’t need and exchange them for ones you do need thereby converting virtual currency into a grocery store gift card. But there’s no referral link. Just register your account. You can exchange 625 points for a $5 Amazon gift card. After 2 weeks, I have 485 points. If you don’t qualify for a survey, you can still earn HIpoints and are earn a sweepstakes entry to win who knows what. I’m only a couple of points away from earning a gift card. CashCrate is another one. After a couple of weeks, I only have $1.56 balance. It’s legitimate money, not virtual currency. They cut checks on the 20th of every month with a minimum $20.00 withdrawal. There are also points you can earn by playing games. Two hundred and fifty points will get you a $10 Amazon gift card. There are a variety of ways to earn money on their site. There’s incentives for referrals. I earn when you earn, and you earn when your friends earn. MySoapBox is another one I use. I have a little over 3,500 points with them. You need at least 25,000 before you can start redeeming points. I have a ways to go before I get anywhere near that level. They will send you an email reminding you to take a survey. Since I’m still too new, at this time I’m unable to tell you what the points to dollar ratio works out to, but I will keep you posted. So the money is out there. You just have to be willing to do a little bit of extra work to get it. Some people may enjoy taking surveys and playing games. It will be an added benefit to earn something for doing it. Being a free loading housewife is more about saving money than making money. Or more specifically to my case, trying to find money in odd places. I also do a lot of trading. Most recently I traded a cast iron boiler for a handheld planer and a drill bit sharpener, both of which my father in law or husband wanted. I didn’t actually pay cash for them. I don’t spend money to flip something. That totally goes against my nature and self-discipline. I still have a chair I paid $1 for at a rummage sale last summer that I had plans to redo. I would have been better off buying a Dr. Pepper with my dollar bill. Once upon a time someone asked me what I did for a living. Where do you work? Do you work outside the home. I don’t remember exactly the question. It was a simple enough question. Most people are nosy and ask questions that are generally none of their business. I could be considered on of those people. My answer to this question was simple. I don’t work. I didn’t at the time the question was asked and have worked very little in terms of years during my 18 year marriage. His response was to call me a freeloader. He wouldn’t ever have a wife that wouldn’t pull her own weight. That was most likely the reason at 37, he was still single. There is nothing free about being a housewife doing your best to keep your man happy, the house clean and your children cared for. He was serious in his question and insulting in his response to my answer. However, after all was said and done, my husband found humor in the situation. The angrier I got, the funnier he thought it was. So know when someone asked me what I do for a living, I proudly say my I’m a free loading housewife. One lady even went so far as to ask me did my husband want another wife. For the ladies out there that want what I have, which is simply the ability to stay home doing pretty much what I want to do when I want to do it while my man is at work, my hope for you would be to read what I write and really listen to the context of my words. Staying at home, either by choice or necessity, isn’t always easy. I did it by choice for several years, and now I do it out of necessity. I had a job I enjoyed but I had to take three weeks off from work to keep my husband’s daddy out of the hospital. There are ways to be a free loading housewife (or househusband) without starving to death or becoming dependent upon government assistance. If this is your first introduction to my Freeloading Housewife blog, please read some of the other entries. As always, I welcome your comments. Feel free to comment with your referral links. I’ll check them out.